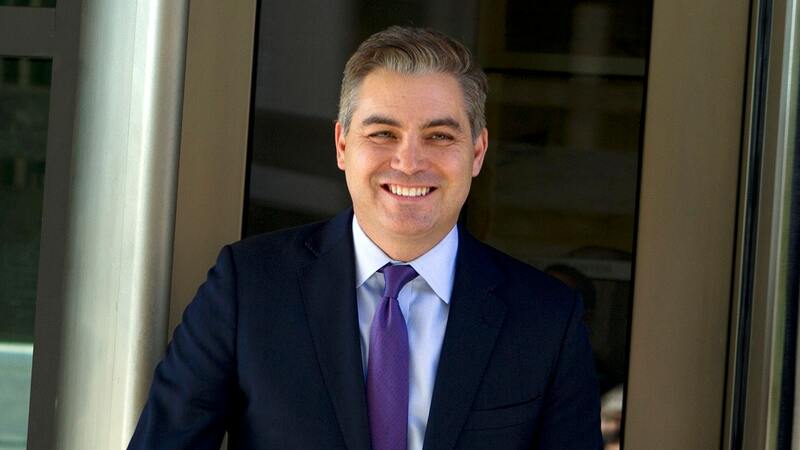 CNN's Jim Acosta on Thursday complained that President Trump did not call him during a press conference following the fierce end of the Hanoi summit between the United States and North Korea. Under a segment after the news meeting, Acosta claimed that Trump might have avoided White House press corps journalists in an attempt to evade issues of Michael Cohen, Trump's former lawyer who testified Wednesday on Capitol Hill. TRUMP CUTS SHORT NORTH KOREA SUMMARY AFTER DISPUT OVER SANCTIONS: SOMETIMES You have to go "
" First of all, we must point out the obvious that the president managed largely during this press conference in the White House press corps and instead, journalists randomly chose from the other side of the room where foreign journalists were sitting, "Acosta said. 1; who was it first reporter called – and ABC News & # 39; Jonathan Karl, who quizzed Trump on Coh's testimony. "[Michael Cohen] lied a lot," Trump said in response to the Cohen testimony that took place in Washington , more than 13,000 miles from Hanoi. "But it was very interesting because he failed one thing," he said, "no co-operation with the Russian hoax." "
Other US-based outlets that also boasted Trump's case included the New York Times, Washington Post, NPR, and Bloomberg. Acosta added that Trump "urged reporters from Russian state media, Chinese state media, Sean Hannity from Fox," adds that it was designed because he didn't want really answering questions about Michael Cohen. " The CNN star repeated the same claims on Twitter and said:" Trump largely controlled the WH press corps, which helped him avoid the Cohen issues and added that "Russian state media got a question. China state media got a question. Hannity got a question. " Yet Acosta later recognized in the segment that Trump actually answered a question about Cohen, although he noted that he was calling the testimony yesterday a" false hearing ".